← Apple investigated over moves to close our alternate payment options. With the arrival of tablets, large screen smartphones and e-readers many people in the publishing industry had high hopes that these devices would be the savior for their declining revenues. 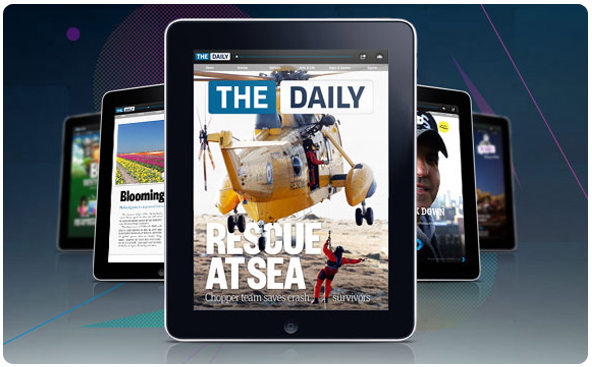 Major media corporations have invested heavily on dedicated tablet apps, as a way to boost revenues. So after all the heavy investment, will publishers actually see the return they hoped? Unfortunately, they have a long way ahead of them. According to a recent keynote by Forrester senior analyst, Sarah Rotman Epps, many media companies have over-invested in tablets. Publishing any form of content to these new devices introduces many challenges. One of them is monetization and how to maximize readership, revenues and long term potential. It is crucial to make it easy for the widest range of people to engage and start paying for content – not just existing customers and people willing to pay the full monthly price. In the current form, readers using these apps are often left frustrated with the way they have to pay for the service, many referring to it as “clunky”, plus adding to their frustrations they then have to face format issues – having to access huge files that take hours to download. When it comes to monetization, the type of payment model can determine the success or failure of an app. In the case of Apple, they have worked closely with some publishers to provide billing solutions within their app store. But Apple’s controversial billing model requires a 30% revenue share with the publisher and in addition their restrictive policies are causing a lot of anger among publishers. Android in turn, has created a more ‘flexible’ approach with their One Pass subscription service, which allows publishers to set their own prices and terms, great! The catch? Google still enforces registration and payment through Google Checkout. Based on this, unfortunately monetization continues to be a challenge for publishers using apps. But it doesn’t have to be like this. While it has been difficult to persuade users to pay for these services, at Bango we strongly believe that, compared to traditional on-line content, mobile access combined with the right payment model offers a simpler proposition to deliver. On mobile, pricing by cents is easy and payment to phone bill is enabled, making it much easier for consumers to purchase digital content. Delivering content via HTML5 also brings simplicity to development and allows open monetization models outside of the constraints of current app stores. Although it might be a while until publishers start recouping the return on their investment, we believe that those with the innovative minds, using the right payment model will be the ones seeing their efforts pay off. This entry was posted in app store, in app billing, Mobile payments and tagged iPad, Mobile apps, mobile content, mobile payments. Bookmark the permalink.